When folks talk about the gene-editing tool CRISPR, they’re usually talking about CRISPR-Cas9, a combination of DNA and enzymes that together act like scissors to cut and paste genes. CRISPR-Cas9 has already been hailed a potential game changer in the fight against cancer, crop pathogens, and environmental problems. But some researchers think a lesser-known flavor of the technology might be the answer to the world’s growing superbug problem. Ladies and gentlemen, meet CRISPR-Cas3. Cas9 is in vogue for good reason: It’s a small enzyme that is really good at precisely targeting specific sequences of DNA, making engineering a genome much easier than ever before. Cas3 is terrible at those things. It shreds up the DNA it targets to a point far beyond repair, causing the cell to die. If CRISPR-Cas9 is a genetic scalpel, Cas3 is a chainsaw. Which is exactly why researchers think it might be just the thing to attack the sort of super-tough bacteria that can resist antibiotics. Barrangou first encountered CRISPR while working for Danisco sequencing Streptococcus thermophilus, a bacteria commonly used in yogurt and cheese production. His early CRISPR work helped lead to the discovery of CRISPR gene editing. Like most scientists in the field, much of his work focused on Cas9. But the clunky, cumbersome Cas3 is a CRISPR enzyme much more common in nature. Barrangou began to wonder whether its boorish nature might be an asset in applications beyond genetic engineering. In 2015, he co-founded Locus Biosciences, a university spin-off company devoted to reprogramming CRISPR-Cas3 to develop antimicrobials to tackle infectious diseases increasingly resistant to antibiotics, such as C.difficile, E.coli and MRSA. Recently, the company made its public debut after years in stealth mode. Like Cas9, the Cas3 enzyme can be programmed to target specific DNA, meaning scientists could train it on an unwanted invader. But Cas9 precisely cuts DNA, leaving a double-stranded break that allows the cell to repair itself once the desired edits have been made. Cas3, Barrangou said, is like Pac-Man, chewing up the cell in such a way that leaves it no hope of repair. Hard-to-kill bacteria, often dubbed “superbugs,” have become a major problem, developing resistance to antibiotics more quickly than we can discover new ones. In a rush to find a solution besides just simply more antibiotics, researchers are experimenting with alternatives, like using predatory bacteria to attack deadly human pathogens. Another company, Eligo Biosciences in France, is also focused on using CRISPR to produce antimicrobials. The hope is that not only would it succeed in killing the desired superbugs, but stave off the creation of future superbugs by only targeting one type of bacteria in the body, rather than indiscriminately wiping out many helpful bacteria along the way. Barrangou’s work is in its early stages, but it may be among the most promising alternatives to new antibiotics. 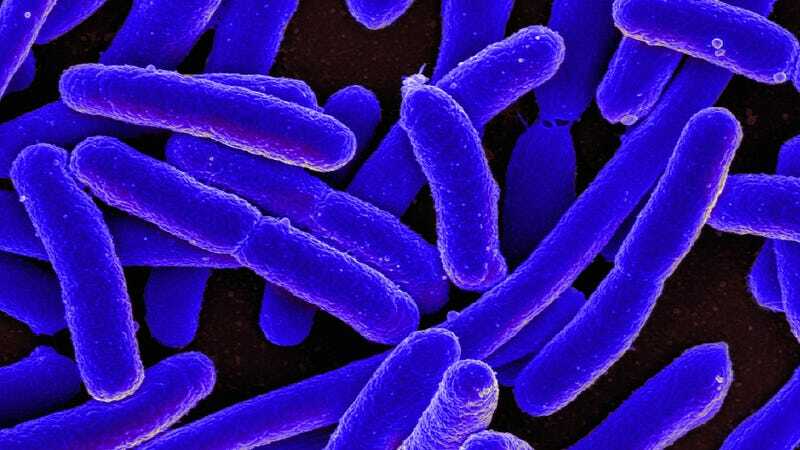 The company has not yet begun clinical trials, but has had success using CRISPR-Cas3 to fight mice infected with two different strains of E.coli, work Barrangou told Gizmodo it plans to publish later this year. Many challenges remain, including figuring out the best way to actually get CRISPR-Cas3 into the bacteria, with their thick cell walls. There’s also the possibility that pathogens could evolve immunity to CRISPR. “One of the reasons there is such a crying need for new therapies is that bacteria are very good at evolving ways around whatever we throw at them,” Sontheimer said. The company will also have to gain FDA approval for any therapy it develops. It hopes that process will be less fraught than it has been for CRISPR-Cas9, since Cas3's destructive properties mean you can’t make designer babies, superhumans or any other genetically engineered sci-fi catastrophe.